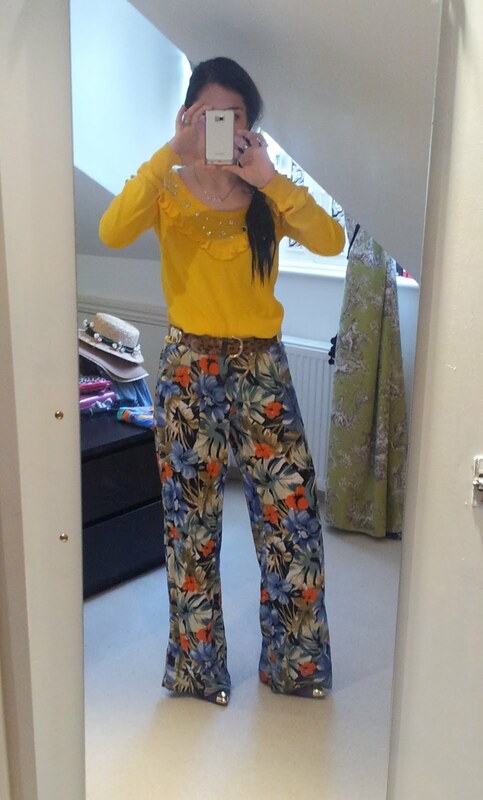 Print trousers: Primark. Yellow jumper with diamante studs: Sonia Rykiel for H&M. 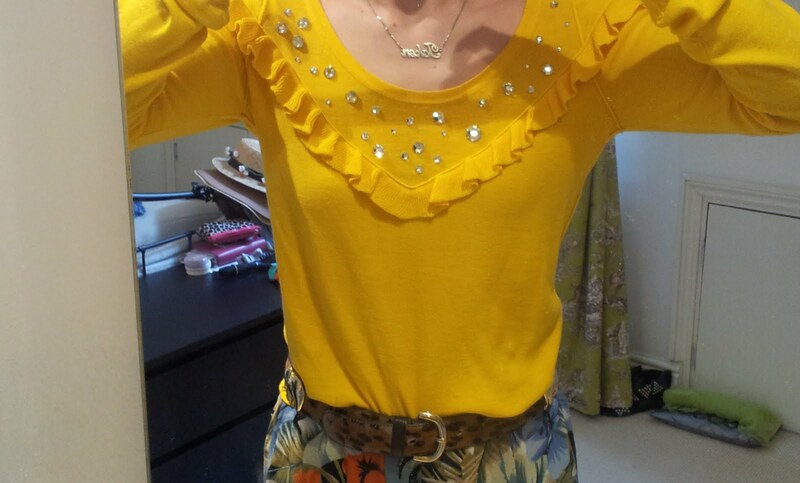 Leopard and elephant belt: Furla. 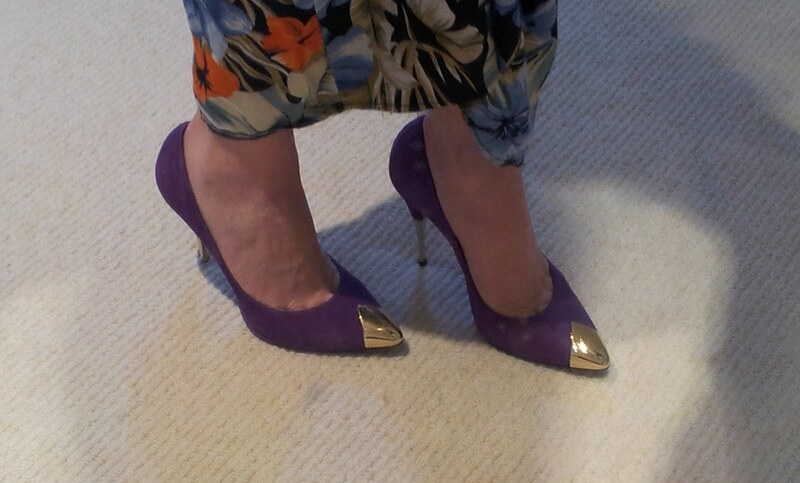 Purple shoes with gold toe and heel: Schuh.